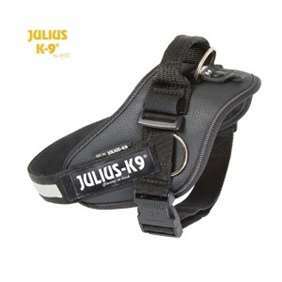 English Cocker Spaniel - Julius-K9 harness size 0 - Las Vegas K9 Inc. The English cocker must be able to find, flush and retrieve upland game birds for a full day of hunting. It must be small enough to penetrate dense cover, but of sufficient size to retrieve larger game. The broad muzzle helps when retrieving. 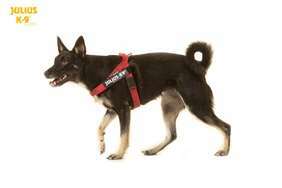 The dog is slightly taller than long, compactly built and short coupled. This breed loves to hunt and shows it by the wagging of its tail when on the job. The English cocker has a driving, powerful gait that covers ground effortlessly. The coat is of medium length, silky in texture and either flat or slightly wavy. The feathering should not be so profuse that it becomes a hindrance in the field, but it should be long enough to protect the underside of the dog. The expression is soft and melting, yet dignified. 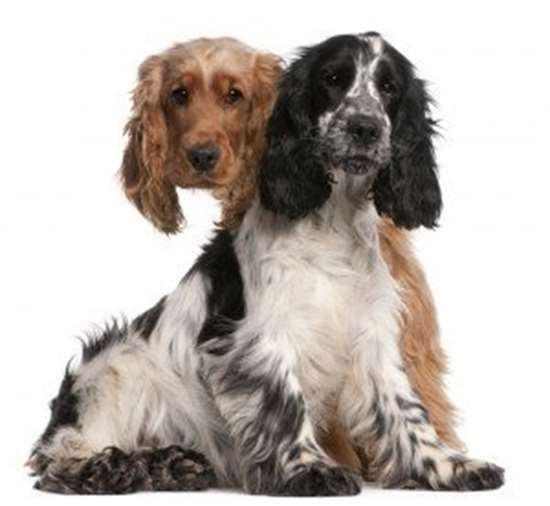 The English cocker spaniel retains more of its hunting nature than does the American version, and it also needs a little more exercise. It is cheerful, inquisitive, demonstrative, devoted, biddable, loyal and sensitive. This is a sociable dog that likes to stay close to its human family. Keeshond, Bulldog, American Cocker Spaniel, English Cocker Spaniel, German Pinscher, Siberian Husky, Saluki, Dalmatian, Poodle, English Springer Spaniel, Puli, Ibizan Hound. 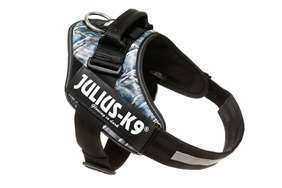 Julius-K9 IDC Harness - Size 0 - New Colors! -Girth: 22.75 - 30 in. -Weight: 31 - 55 lbs. -Girth: 22.75 - 30 inches, weight: 31 - 55 lbs.